At the heart of any hotel is the EPoS system, which forms the central means of revenue recording and collection. But as every hotelier knows, first impressions are vital and these start long before the guest arrives at the hotel. They commence at the point of booking – and this is one reason why the hotel EPoS system should integrate with any existing external booking system or sources of on-line reservations. You don't want to be transferring guest details from one system to another as your guests wait to check-in! Many hotel specific EPoS systems manage bookings themselves and can offer sophisticated rate availability management. Discounted or special offer rates can be automatically closed out at a pre-defined occupancy level. An EPoS system that doubles as a guest database is essential. Guests with special requirements and needs, or VIPs? Identifying them as soon as possible helps to enhance the level of personal service your hotel provides. 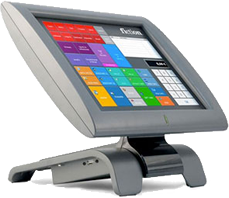 The EPoS system can alert staff immediately, just as it can for less desirable guests! Don't forget to set up that all important guest credit limit and do look for a system that can handle credit card pre-authorisation, as not all are capable of these specialised transactions. EPoS can also be used to prompt staff to sell additional services and products to guests at check-in, such as newspapers, Internet access or premium TV. Nowadays, hotels offer a multitude of different services and all of these need to be immediately and reliably captured to guest bills. Consider which of your diverse systems will need to interface to your EPoS system to facilitate smooth operation of your hotel. These can include your card key system; interactive TV and Internet access systems; mini bar charging, room service and your telephone system for charging of guest calls. Thankfully, most EPoS systems are nowadays based on PC type technology, so getting them to talk to a diverse range of other such systems is usually easily achieved by a good installer. As guests move around your hotel, it is important to have a system that can easily transfer guest tabs from one location to another, for example, from the bar to the restaurant. Look at how the system will work for both residents who charge to room accounts and also for non-residents. It is important to position sufficient EPoS equipment at any point where guests purchase services – you don't want your staff having to run back to reception just to register a sale! Wireless based EPoS terminals can be a big help here – in the restaurant, they are a real boon, as they are able to send food orders direct to the kitchen or drinks orders direct to the bar. Securing the transaction details at the earliest point in the sale also helps to cut down on forgotten or incorrectly charged sales. Specifically for kitchen operations, many EPoS systems offer sophisticated stock control and even recipe management. This can include automatic goods-in reordering and accurate stock reduction on sales – helping to control costs and portioning and identifying waste or pilferage. Within the kitchen, menu items can even be directed to different kitchen printers by specific item; starters can be printed at one kitchen station and main courses or sweets at another. Behind the bar, it is important to choose an EPoS system that can manage multiple pricing levels, not just at different times of day, but in different locations across the hotel. A bottle of wine or after dinner drink can (and should!) be charged at a higher price in your top service restaurant than in the front of house bar. EPoS should be able to manage multiple stock locations too, with the ability to transfer items from one location to another. That way, individual bars and their staff can be operated and monitored as separate business units, making it easier to track down any discrepancies. Real time stock level information & usage reporting across locations will even help staff to deliver timely product supply to all sales points across the hotel, avoiding shortages, last minute rushes, guest frustration and ultimately lost sales. Don't forget to use the EPoS systems ability to notify staff of special events, dates and the like - reminding them to sell at higher rates to maximize revenue opportunities, or to promote specific products. If possible, look for a system with a built-in Calendar and Appointments system, useful for function room hires, special events and personal services provided at the hotel, such as spa, fitness or beauty bookings. The key is to try and keep all hotel functions on the same system, meaning staff can easily access any and all information for guests, without having to switch between terminals or applications. Some systems have built-in event planning software. If your hotel offers banqueting options, such a system can automatically book all necessary rooms for conference style events and also help you plan them in detail. You want to make your guest's check out procedure as easy as possible and this is a key area where a good EPoS system can speed things along. If everything has gone well, there should be no missing or last-minute items to be added to your guests' bills. Card details should be held by the system from the point of check-in and cards automatically charged. Do you operate corporate accounts? If so, your EPoS system will either need to include its own sales ledger management package, or be able to transmit sales data to the third party accounting system. Can the EPoS system easily split bills between room occupants, or combine separate room bills under a single payment? These are important time-saving features that will aid with more complicated check-outs. Don't forget that many EPoS systems now include Loyalty and Marketing type modules, allowing you to contact your previous guests by post, email or text message to notify of upcoming events or promotions. Loyalty cards and gift cards are also other sales boosting options to consider and all are able to be implemented on a modern EPoS system. For multiple site operations, head office can control at varying levels, such as price setting for a newly operational site, or devolving more control to a local management team as required. Up to the minute reports on revenue, banking, stock levels, room occupancy, future bookings plus a wealth of other management information are all made available centrally. Many EPoS systems can additionally act as the hotel time clock, by allowing staff to clock on and off via the EPoS terminal and then transmitting that data to the payroll system. Tracking of individual staff performance is also enabled, facilitating rewards schemes or identifying staff for whom additional training may be required. 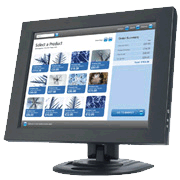 There are some basic but essential considerations to address for any EPoS installation. Particularly in an hotel, the system is likely to be in use 24/7, 365 days a year. Whilst EPoS equipment is superbly reliable nowadays, things can and do occasionally go wrong, so ensure you have a suitably specified maintenance contract with a reputable supplier. Also be aware that many EPoS systems now include the ability to manage CCTV. This is not only useful for general hotel security, but it also allows the EPoS system to link CCTV footage with individual transactions – a very powerful feature where theft or wrong-selling is suspected! Finally, remember that your EPoS system holds data vital to your business, so do not ignore backup requirements necessary for any data processing system. Implement a regular and defined back up procedure, preferably to an off site location – and make sure that procedure is followed reliably. It is also very worthwhile to consider uninterruptible power supplies for crucial EPoS equipment, just as you install emergency lighting. That way, your sales don't have to stop if the lights go out! Why not get in touch to discuss your hotel's requirements?